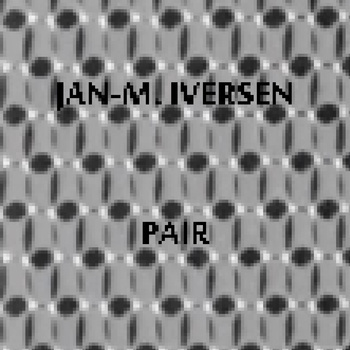 We are honored to release the work titled ‘Pair‘ by prolific Norwegian artist Jan-M. Iversen.”Pair” is a two-track drone-piece. The main idea here is to present two sides of the same story. Both pieces are mixed from the same base of samples recorded during an evening in the Bjerga/Iversen-studio. “The One” was mixed/finalized early morning, straight after the morning-coffee, while “The Other” was mixed/finalized late that same night. So in a sense: a morning-mix and an afternoon-mix. Recorded at Bjerga/Iversen Studio @ Consul80, Stavanger, Norway. Mixed & mastered at TIBProd. Studio 3, Hafrsfjord, Norway. Jan-Morten Iversen, Stavanger, Norway, is a nicenoise-artist who’s been active since the early 90s, these last ten yearsworking solo and within groups Bjerga/Iversen, Lydhode and others. Collaborations include Maurizio Bianchi, Tzesne, Quoit, Torstein Wjiik, Sound_00, Martin Steinebach and others. Iversen established the TIBProd.-label ten years ago and still runs it today. This entry was posted in News and tagged drone, Jan-M. Iversen, Norway, Pair, TIBProd by bsom. Bookmark the permalink.